Malawi Tea 2020 is supported by companies all along the tea value chain. All participating producers are members of the Tea Association of Malawi (TAML). The main buyers of Malawi tea, including traders, packers, and retailers, are involved, and the main development organisations, certification schemes, civil society actors, and trade unions in the sector are engaged in the programme. The partnership is endorsed by the Malawi government. A more competitive and profitable industry that is paying a living wage to workers: working together to unlock orchestrated activities that will help Malawian tea producers and tea smallholders to become more profitable by improving productivity and the quality of Malawian tea. A healthier, motivated, and productive workforce with greater opportunities for women: improve the quality of estate housing in line with the provisions of voluntary standards, and workers will receive more nutritious meals. Also, HR management will be improved and better opportunities for women are created. An improved smallholder sector where farmers earn a living income: build the knowledge of smallholders through farmer field school methodologies, improve their business management skills, and provide them with agro-inputs that will lead to more and better tea production and subsequently improve the livelihoods of Malawian smallholder farmers and their families. An improved wage-setting process with greater work representation: change the wage-setting process, so worker and employers’ organisations will engage in a meaningful process of collective bargaining. Malawi is Africa’s second largest tea producer, after Kenya. Malawi is also one of the world’s poorest countries. Some 62% of Malawians live below the World Bank’s extreme poverty line, and there is a lack of access to adequate nutrition for about 50% of children. The tea industry is the largest formal sector employer in Malawi, employing 50,000 workers and providing livelihoods to more than 14,000 smallholders. Tea estate jobs are considered good jobs in Malawi, paying above the agricultural minimum wage of Malawi and providing a range of other benefits. Nevertheless, wages remain very low as outlined in the Oxfam/ETP/IDH research report: Understanding Wages in the Tea Industry, which covers key countries in Africa and Asia. In response, a GLWC living wage benchmark was established for Malawi as a target setting and negotiation tool for workers, employers, and partners. This benchmark and the research behind it is thoroughly explained in the GLWC report by Richard and Martha Anker (2014) entitled, Living wage for rural Malawi with focus on tea growing area of Southern Malawi. 1. A more competitive and profitable industry that is paying a living wage to workers (includes developing an improved wage‐setting process with greater worker representation). Under the Malawi 2020 programme, ongoing outreach to financiers and donors takes place to garner support for irrigation, replanting, and factory refurbishment projects with the aim of revitalizing the tea sector. In 2017, two deals of an estimated USD $3 million are in the pipeline and tea estates themselves have invested USD$6.3 million into wide-ranging projects, such as agricultural and infrastructural improvements or electricity generation. A profitable estate sector must include viable options for sustainable procurement practices. Currently, such models have been developed and are under discussion with producers and buyers. The gap between current wages and living wages have narrowed in large part due to increased PAWUM and TAML capacity to improve the wage setting process and worker representation. At the moment, the current prevailing wage, including cash and in-kind benefits, is MWK 1,753, and the living wage target is MWK 3,051. While a gap remains, 337 managers were trained in 2017 on the Collective Bargaining Agreement (CBA), which lays the groundwork for an employer/worker dialogue on wage setting processes. A total 5,500 workers participated in wage training sessions. 2. A healthier, motivated, and productive workforce, with greater opportunities for women. Worker health was addressed in 2017 through the implementation of a nutrition programme. A total of 30,000 workers, out of a target of 50,000, currently receive fortified meals and all workers in the tea sector receive weekly portions of vegetables. TAML also implemented a policy to curb sexual harassment and gender-based discrimination. As a result, four estates have instituted gender committees, and related training sessions for supervisors, managers, and workers commenced in September 2017. 3. An improved smallholder sector where farmers earn a living income. Enabling a profitable smallholder sector is key to securing living incomes for workers. Capacity building efforts in 2017, notably developing skills in tea growing and business management practices, have progressed towards this goal. Multiple areas central to reaching the 2020 profitability targets have been affected. To date, 1,548 farmers have participated in 50 farmer field schools, and field-level practices have been improving: 540,000 tea plants are being cultivated in 45 mini tea nurseries and 3,138 farmers are participating in a total of 173 village savings and loans groups across the country. The living income study has succeeded in establishing a living income benchmark with the preliminary result of 2,889 MWK (USD PPP 15.04) for the benchmark and 1,574 MWK (USD PPP 8.16) for current incomes. 4. More sustainable energy use and an improved environment in tea-growing areas. As of September 2017, seven factories have started collecting primary data on their energy efficiency. In June, key stakeholders took part in a training on climate change impact mapping, although it is too early in the process to draw conclusions on their use of mapping to inform their business plans. Under a programme targeting woodlot production, 10 tree nurseries have been established. The roll-out of energy efficient stoves and solar lights has been pushed forward through the establishment of six cook stove production groups with 125 members, and the training of 140 sales agents. For more insights on the progress and past year’s achievements see the plenary presentations of the second Annual Progress Meeting. We have brought together and continue to work with over 35 supply chain organisations to work towards a living wage in Malawi. There is now a collective bargaining agreement process (CBA) in place in the Malawi Tea Sector, the biggest result of the programme to date. The Wages Committee has found that the current living wage gap is 43%, in comparison to 62% in 2015 when the Malawi Tea 2020 MOU was signed. The nutrition status of 40,000 workers has been improved through fortification of the midday meals. 1,500 smallholder farmers have enhanced their agronomic and business skills in Thyolo and Mulanje, whilst Village Saving and Loan Groups there have seen record participation by 3,000 smallholder farmers. 40,000 workers in the tea industry now receive fortified maize meals during their midday meal. 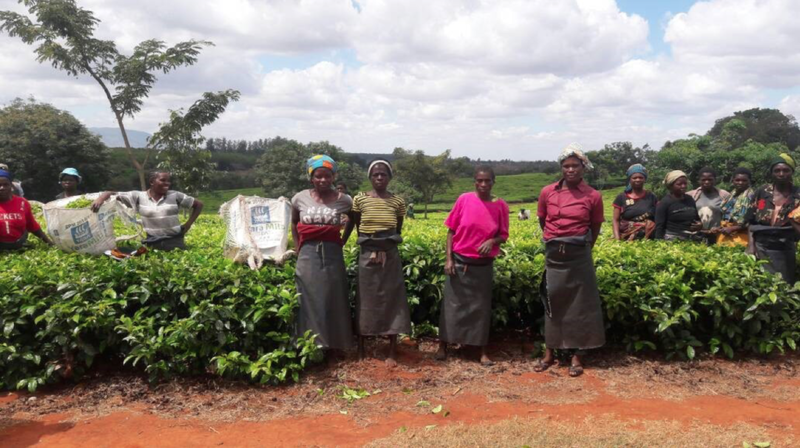 Tea estates have increased their investments in replanting and irrigation, and in upgrading factories to improve tea quality, despite a challenging economic context, with adverse weather conditions, a strong Kwacha/US dollar exchange rate and unreliable power supply. Additional resources available on the project website – www.malawitea2020.com or by email to info@malawitea2020.com. See also the IDH website at www.idhtrade.org.